March 31, 2017 – Links International Journal of Socialist Renewal reposted from LeftEast – For the last several months in Turkish politics, the party-state’s agenda has been dominated by two interconnected operations: consolidation of power and elimination of opposition. The former will culminate in the constitutional referendum of April 16 this year, which will, if successful, transform Turkey from a parliamentary into a presidential republic, further strengthening Erdogan’s personal rule and making it nearly impossible to electorally challenge AKP hegemony in the foreseeable future. Whole cities are plastered with giant “Evet!” (Yes!) posters, which also dominates the TV channels, but opinion polls are still running surprisingly close. 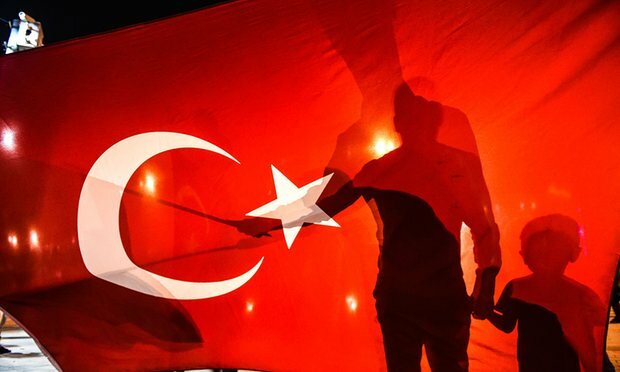 To shore up the nationalist vote, the state even produced a deliberately calculated diplomatic scandal with the Netherlands over the latter’s unwillingness to have Turkish ministers campaign on its territory. At the same time, dozens of “Hayir!” (No!) rallies/ events are banned for mysterious “security reasons.” Indeed, the elimination of bases of opposition, which was intensified after the unsuccessful coup of July 2016, is now in full swing. While initiated to eliminate the sources of the coup, the state of emergency has now turned to leftist and Kurdish forces, generously applying to them the “terrorist” label. A particularly widespread form of silencing the opposition has been the firing of civil servants. Talking to LeftEast about all this is Uraz Aydin, an editor of the Marxist journal Yeniyol, who has recently been fired from his faculty position at Marmara University. To support fired academics like Uraz, the Union of Educational Workers, Eğitim Sen, has set up a solidarity fund. You can contribute to it (anonymously or publicly) by donating here.